Born April 2nd, 1951 in Newark, New Jersey, Wayne began drawing and painting before the age of five. Local wildlife in the countryside intrigued him, and as a boy, he captured many animals to care for at home, such as raccoons, snakes, squirrels and rabbits. These creatures he would draw and paint, and discovering his talents early on, it was obvious that extracurricular art classes be made available to him. As a special student, he was able to study art all through his elementary and secondary education. 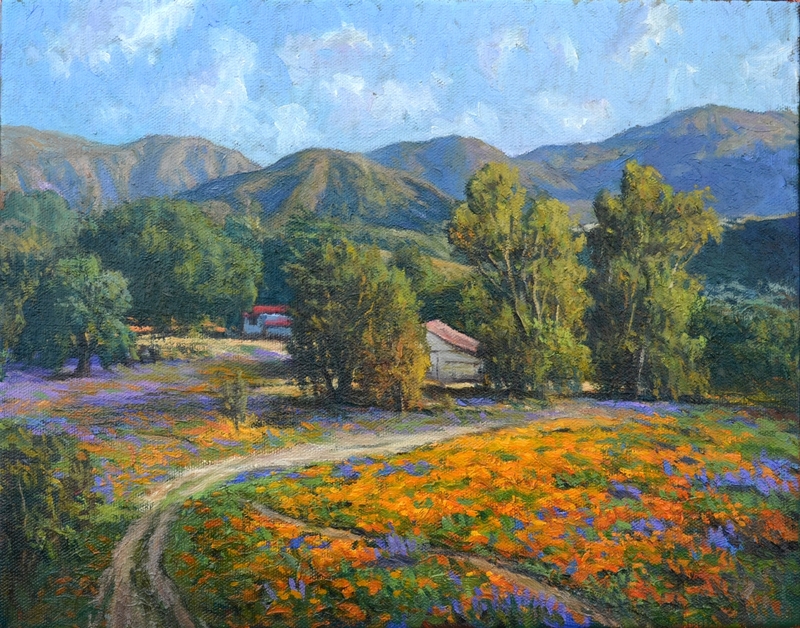 His earliest paintings can still be seen in many of the schools he attended. 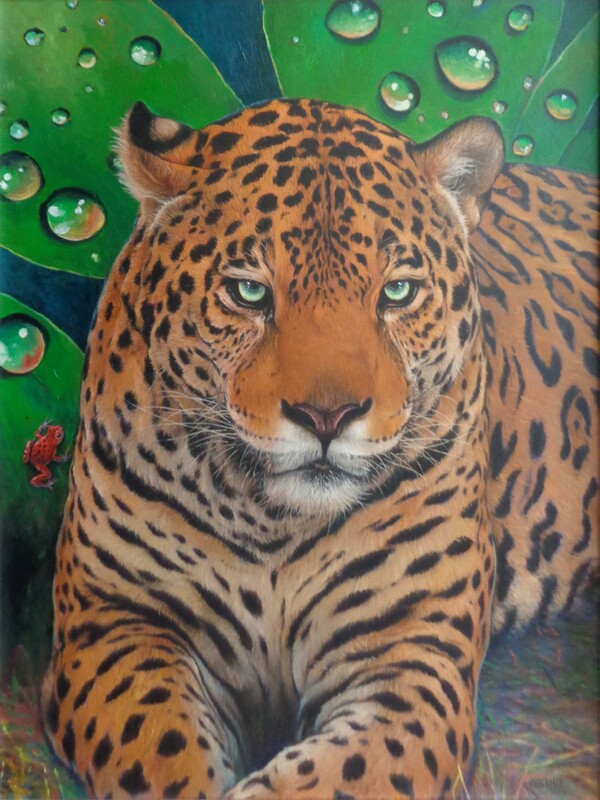 Wayne’s desire to paint wildlife soon became the vehicle through which he could preserve endangered species in timeless oils for now and years to come. His great love of all animals can be seen in his depiction of a variety of wildlife in his earlier pieces: Bears in winter, the Artic Wolf, the Eagle family. His thought provoking images soon made him realize what gifts he could offer the world. Upon graduating high school, Wayne attended the Newark School of Art in Newark, New Jersey where he did extensive studies in the field of illustration and oil painting. 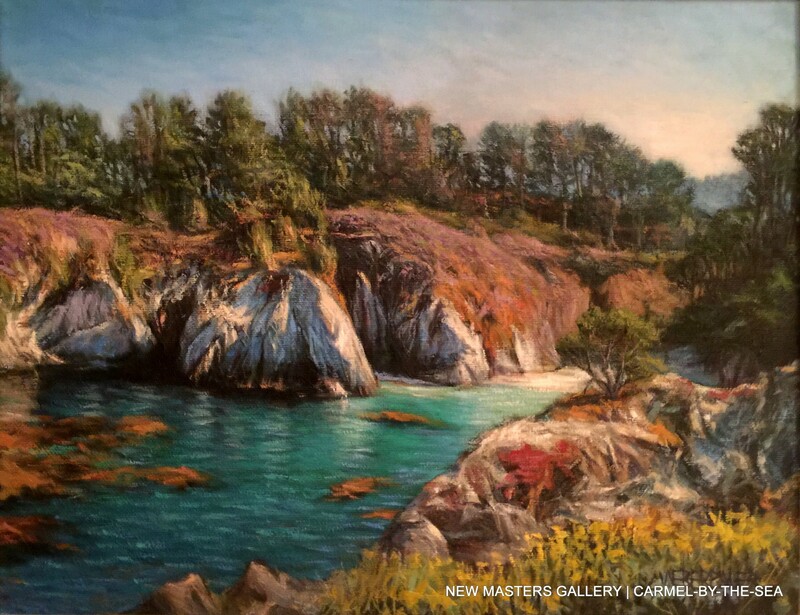 Desiring a more aesthetic lifestyle, shortly thereafter Wayne made the move out west to beautiful Carmel, California where he lived and painted for over ten years. 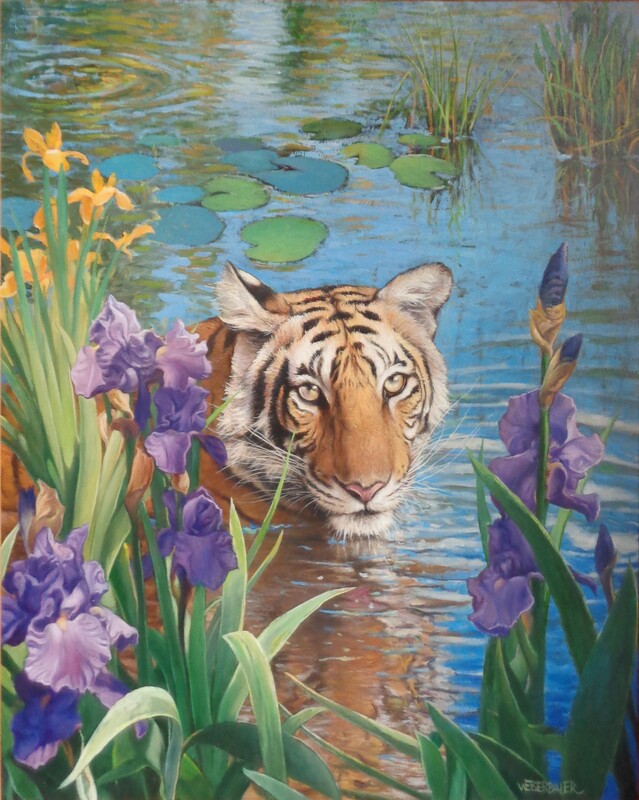 It was there that he met his beautiful wife Shelly and after their first child was born, his first painting of tigers with cubs was created. This image of Tiger families was so popular that many renditions with other species have since evolved. In 1996, the Franklin Mint published a series of six plates of his Tigers and cubs which became part of their Royal Doulton collection. Over 2 million were sold worldwide. He also paints his own children in floral settings and really enjoys this work. 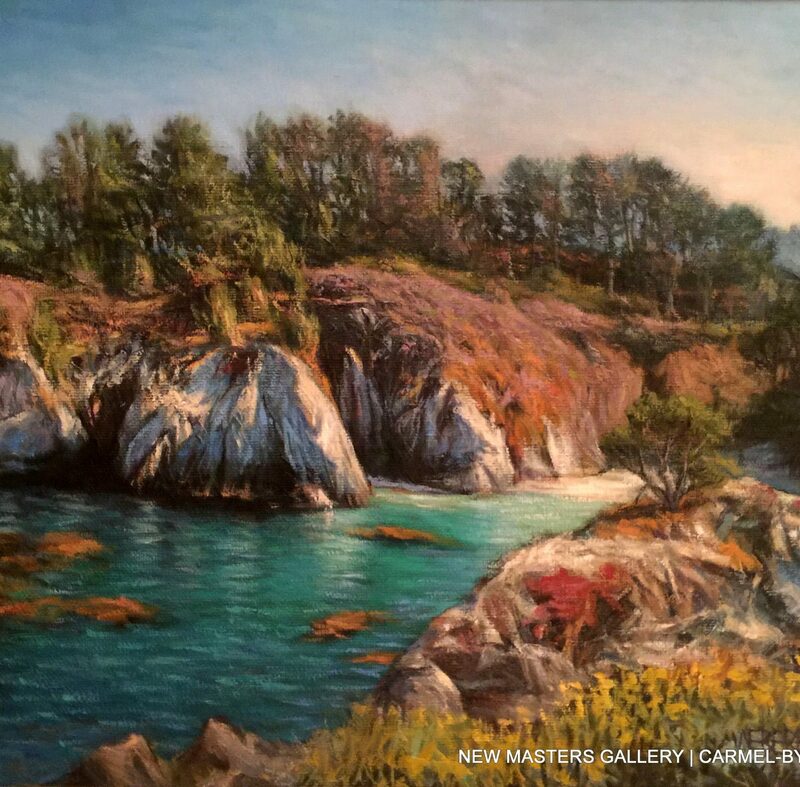 Of any fine artist in Los Angeles, he and his family are members of the Greater Los Angeles Zoo Association and the famous Wildlife Waystation, a nationwide wildlife preservation center for endangered species. Wayne’s desire to spotlight and enhance the human experience with wildlife, including endangered species, and “the world” is also apparent in his activities with Rainforest Action Network as well as the Big Horn Sheep Society in Palm Springs CA. Many environmentalists have requisitioned his work just because of their striking and magnetic qualities. 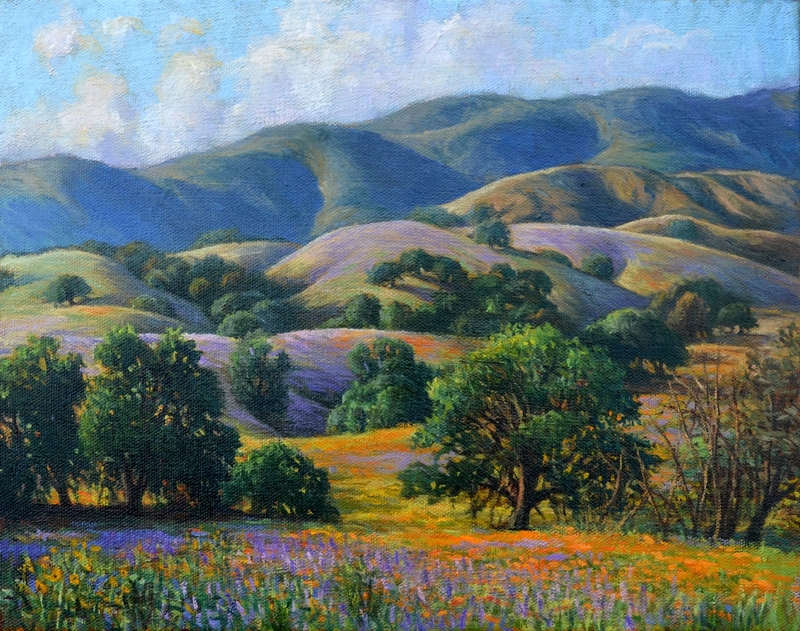 He has exhibited his paintings in many galleries throughout CA., Hawaii, Texas, New Jersey, Colorado, and Guam.